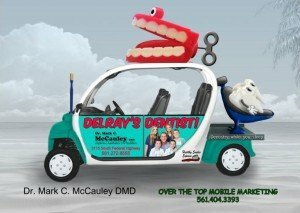 We would like to introduce Toothie, a tip-only Downtown Delray Taxi Service. 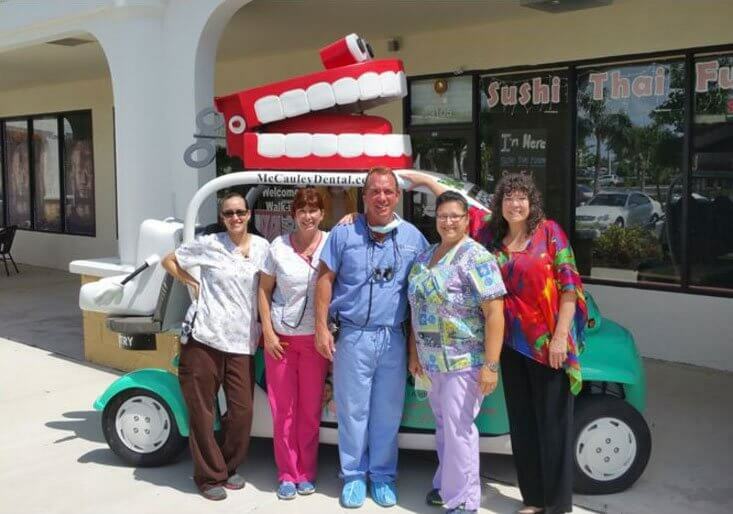 To express our sincere appreciation to our loyal patients, friends and family, Dr. Mark McCauley and his staff are sponsoring a tip-only taxi to service in Atlantic Ave and surrounding areas. 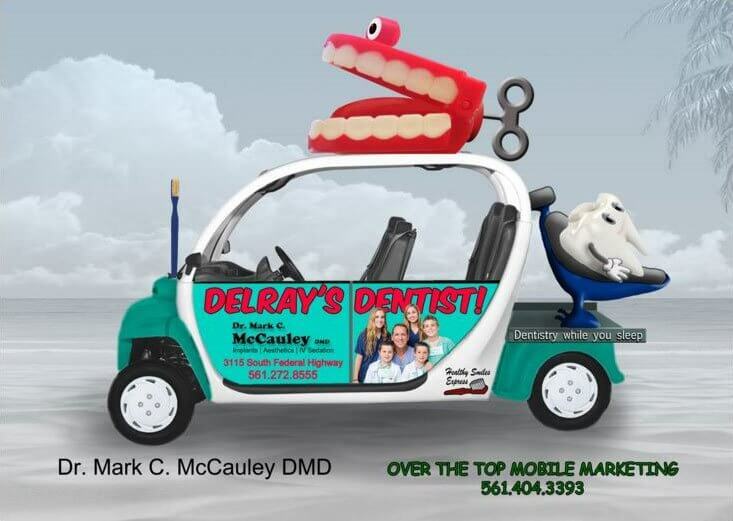 The hours for Toothie are most nights from 4pm-11pm around the Atlantic Ave Delray Beach area. Operated by Over the Top Mobil Marketing, Inc. Give us a call at 561-404-3393 to catch a ride along Atlantic Ave and the beach area. Toothie primarily operates in the area of East Atlantic Ave from the Beach (A1A) West to Swinton Ave, North to George Bush Blvd and South to Linton Blvd. Give Toothie a call or text if you need a lift, it is a tip only taxi service.